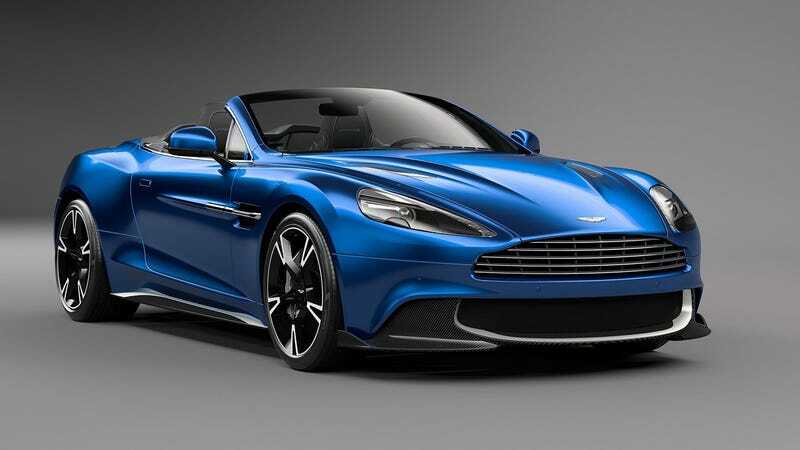 The Aston Martin Vanquish seems like it’s been around forever, but damn, this new nip-and-tucked Vanquish S Volante is one of the prettiest cars to rest your eyes on. Having just broken from my two-month-long staring contest with a profile photo of the new Vanquish S released in November, I am now, yet again, perpetually locked staring at the depth of the curves on the new Vanquish S Volante. As a fan of the new, controversial DB11, I will say it should be damn ashamed to share a stable with this. We may have come a long way from invisibility and ejector seats, my first experience with mechanical lust back in 2002, but the new Vanquish seems to only get better with age. There’s also still a freaking naturally-aspirated 5.9 liter V12 good for around 580 horsepower ready to fulfill meaning to life.